Hardhitting Filipino boxer is scheduled to fight the undefeated Russian boxer Roman Andreev on September 20, 2016, for the vacant WBO Inter-Continental lightweight title. The fight will be held in Vladikavkaz, Russia. Rolando Magbanua is a 31 years old boxer from Pigkawayan, Cotabato (del Norte), Philippines, he has a record consisting of 26W(18KO)-4L. 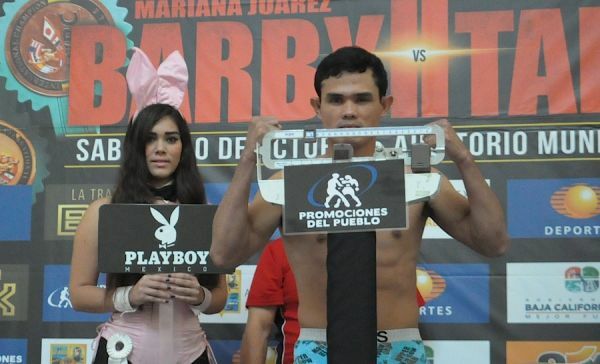 Magbanua is a former interim WBO Oriental bantamweight champion, he also once fought outside the Philippines against Alberto Guevara in Mexico but loses in the fight via TKO. In his last fight, Magbanua knocks out the fellow Filipino boxer Melchar Valiente via 3rd round TKO last March of 2016. On the other hand, Roman Andreev of Russia is a 30 years old boxer from Ust-Schugor. He has an impressive record consisting of 17 wins with 12 victories by way of KO. Andreev is also a hard-hitting boxer, he also defeated one of the strongest Filipino boxer Rey Labao via Unanimous Decision in 2014. Andreev also won his last fight against Oszkar Fiko last March of 2016.